They’ve already got the sunglasses! They’re gonna need to work on those uniforms though. Fewer board shorts, more black suits. The end credits of 22 Jump Street jokingly imagined all the future sequels and undercover adventures for Jonah Hill’s Schmidt and Channing Tatum’s Jenko. Art school! Cooking school! Old folks home! Outer space! It was one of the best parts of the movie. Somehow, the next Jump Street will be an idea crazier than any of the ones in those credits: A crossover movie with Men in Black. The concept, which was first revealed in the Sony email hacks, will combine the two franchises. Will Smith and Tommy Lee Jones aren’t expected to star; instead Hill and Tatum would become new members of the secret organization that protects the Earth from intergalactic threats. It sounds like fan fiction, but it’s very real. 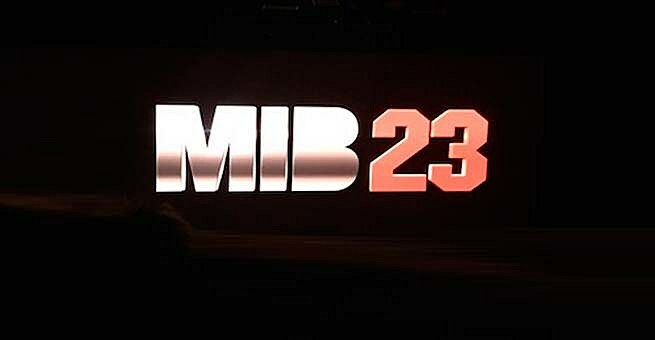 As part of its presentation at CinemaCon yesterday, Sony confirmed the project and revealed the title and logo: MIB 23, a clever combination of the Men in Black’s acronym (each movie’s poster shortened the title that way) and the next number in the Jump Street chronology. I just hope that the Men in Black actually are headquartered at 23 Jump Street, and that Schmidt and Jenko just happen to walk in the wrong building one day and discover this whole alien-fighting operation. And then we go right back to the regular Jump Street series for 24 Jump Street: Foreign Exchange Students.